Roofing is important, especially if you’re facing emergency repairs. Having access to a professional roofer when you need one is essential to getting good work done at a fair price. 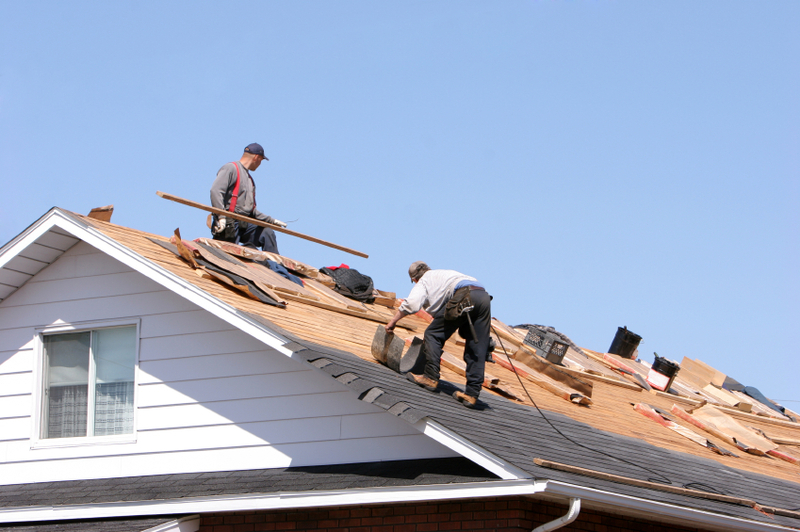 A roofer can come quickly to your home, assess the problem, and figure out the best way of resolving it. A roofing contractor can also ensure that your roof retains the strength and integrity needed to keep out the elements and to make your home a safe and comfortable place to dwell. Calling a roofing company when you need have roofing problems is the best way to go in getting the situation resolved. Many are tempted to call a friend to conduct such repairs, or, in some cases, to even do the work themselves. However, doing this can cause more problems than it solves, which is why it is best to contact a roofing company and have a professional come and do the work. Whether you need re roofing, roof repair, general roof replacement, or emergency roof repair, a professional roofer can help. Doing work on a roof is one of those things that should not be pursued by amateurs. One of the dangers of this kind of work is the safety hazard it presents to any amateur who tries it. Moving around a roof and hauling materials from below, or while one is above, is best done by persons who have been trained to do so and who are experienced in doing so. Such persons also have the equipment and the tools necessary to carry out an operation in a safe and effective manner. These are just some of the reasons why working with a professional roofer is much preferable to pulling in someone to do the job who does not know what they are doing. But before contacting a professional roofer it is vital that you realize that not every one of them offers the same kind of quality, value, and service. The roofing company that you work with should provide you with world class customer service and offer you the best deals possible. Roofing can be an expensive thing to have done; however, the costs need not be prohibitive. The expense ought to be commensurate with the scope of the work. And it is only by looking for and working with the best roofing companies in the Palo Alto, Menlo Park, and Sunnyvale are can you get great service at a reasonable price. The best place to begin the search for top quality roofing service is the worldwide web. Using the web will enable you to find a roofer of your choice in an efficient and effective manner. You will be able to scan the pages of the web until you come across a company that meets the criteria that you have in mind for a roofer. Using the web is a great way of finding a roofer. It will help you do so in a way that is simple, convenient, and non-bothersome. Find the roofer of your choice today on the worldwide web!